Two years ago, I started a new job, and I felt the need for some decluttering inspiration. After following her advice in “The Life-Changing Magic of Tidying Up,” I was happy to find that organization consultant and author Marie “KonMarie” Kondo wrote a follow-up book, “Spark Joy: Al Illustrated Master Class on the Art of Organizing and Tidying Up” (2016), translated from the Japanese by Cathy Hirano. “Spark Joy” is “a comprehensive and wonderfully simple compilation of the KonMarie Method. It is based on the idea that we should choose those things in your home and life that spark joy. Slowly, between daily tasks and projects, I applied some of the tips and ideas in “Spark Joy” to my workspace and the office. I cleared the desktops and countertops, getting into the habit of putting folders away before I go home. I learned to file papers right away, so that piles of paperwork don’t accumulate. I labeled cabinets and drawers, so that other people could find things – and so that we could all put things back in their place. I even labeled the magazine racks. I know it sounds fussy, but I read that every decision we make takes energy. So where to put magazines on the rack was one less decision I had to make. Then I added pictures of my family to remind me about why I work. Sparking joy at the office made me I feel calmer and more in control. When my workspace was more organized, I looked around at the counseling rooms at other locations. I listened when my co-workers complained about sweltering rooms, poor lighting, and old furniture. Then I brought my concerns to my boss. Asking for help. As a nonprofit organization, we searched for grants from organizations that might help us with office renovations. Grants are very competitive, and most organizations want to fund programs directly, rather than office renovations or operating costs. So we also looked for businesses willing to offer goods in-kind – such as flooring, rugs, or furniture. Furniture merry-go-round. When he retired, a generous partner donated gently-used furniture. We looked for furniture in good condition and furniture that was better-sized to our rooms. We accepted what we could use, and then passed on the furniture we previously had, so that nothing went to waste. Clean, comfortable spaces. On a small budget, we gave our offices small make-overs that had a big impact. The darkest and oldest room has been transformed with fresh paint, hardwood floors, gently-used furniture, and new artwork. I learned to ignore clutter in someone else’s workplace. I gave a co-worker a designated filing cabinet and vowed that I wouldn’t open it or try to file anything. I can live with the clutter I can’t see. How does your workplace make you feel when you walk in the door? 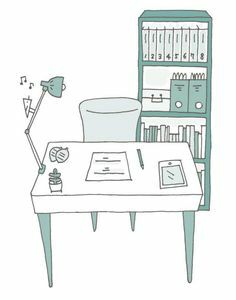 Is your workspace organized or cluttered? Poetry was a big part of my life when I was in school. I used to write poetry regularly, and read poems by Edgar Allan Poe, Robert Frost, and Emily Dickinson. I stopped writing poetry when I got out of school – caught up in brochures and newspapers instead of rhyme. Haiku are both the simplest and one of the hardest forms of poetry. They are deceptively short; it takes a lot of work to pare down words to just 17 syllables. To celebrate International Haiku Poetry Day, the 17th day of April in a month-long celebration of poetry, I want to share some haiku with you. The grass feels soft and has weeds. Do you have a favorite poet? How important is poetry in your life? Recently, I wrapped up my review of the 2018 Hawaii Legislative Session, and hearing about the student-led marches to protest gun violence, it occurred to me that something was missing in all the proposals – and missing from the way that we govern. There is an entire group of Hawaii residents who may be represented in government, and yet don’t have their own voice in government. They make up 21.6% of Hawaii’s population – over 308,500 individuals, according to a July 2016 US Census estimate. Who is this under-represented constituency? More youth are becoming starting companies like Moziah “Mo” Bridges, founder of Mo’s Bows and Matt Mullenweg, co-founder of WordPress; writing books like Alex and Brett Harris (“Do Hard Thing: A Teenage Rebellion Against Low Expectations”) and Christopher Paolini (“Eragon”); and becoming politically active like Malala Yousafzai and Marjory Stoneman Douglas High School students. Adults advocate for children, but students need their own voice in government. Not only would it allow students to advocate for themselves, it would give them valuable experience in the legislative process, inspire other youth to scrutinize government, and encourage young adults to vote. * Student eligibility. We could create five “at large” student legislative positions for youth residents of Hawaii who are between the ages of 14 to 19 at the time of the election. They would have to be enrolled for at least the past two years in a public, private, or charter high school in Hawaii, or be home-schooled. Like all state legislators, student legislators would be elected for two-year terms, but they would be limited to two terms – with the option of running for a regular legislative seat after age 18. * Reorganize the legislature to reduce costs. To allow for additional legislators without increasing the legislature’s size or budget, we could create a unicameral legislature, in which there is only one legislature (instead of a separate House of Representatives and Senate). This could reduce the number of proposed bills and allow more time for discussion. * Adjust the legislative calendar to accommodate the school calendar. To accommodate students and allow more time for public discussion, we could extend the legislative session over the year. There would be bill introductions during spring break, legislative sessions during the summer, and second crossover or final votes during fall break. * Amend legislative meeting requirements to allow for video conferencing. Student legislators may live on neighbor islands, and would be reimbursed for travel, lodging, and incidentals. However, it might be a hardship to continuously travel while attending school and participating in extracurricular activities. We could expand the Senate Video Conferencing Pilot Project to include public testimony as well as committee discussion and legislative voting. I realize this is not a quick or simple change to the Hawaii legislature. If you think of other considerations that would need to be addressed, feel free to write them in the comments below. 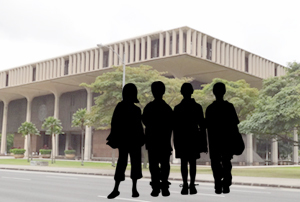 Do you think that youth should have a larger role in Hawaii’s government? Do you know any high school students who you would nominate as a youth legislator? Spurred by the realization that erai means “tired” on Hawaii plantations, but means “great” or “excellent” in Japanese, Myra Sachiko Ikeda’s interest in Pidgin English began in the 1970s. She began to focus on the use of Pidgin English on Hawaii Island sugar cane plantations in the Japanese communities. 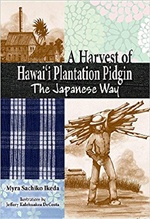 Ikeda’s research is compiled in “A Harvest of Hawaii Plantation Pidgin: The Japanese Way” (2015), illustrated by Jeffery Kalehuakea DeCosta, which explores Pidgin English and its impact on Japanese people and the assimilation of lifestyles and cultures. Ikeda describes plantation camp names, nicknames, children’s games (the enduring jan ken po gets its own chapter), plantation terms, food, and anecdotal stories, and includes a glossary of words and phrases in Pidgin, English, and Japanese. She makes categorical distinctions between Japanese generations: issei (first-generation immigrants), nisei (second-generation), sansei (third-generation), yonsei, and gosei. She stresses that the Japanese people have a strong cultural identity, but that Japanese culture was “frozen” in the time of the Meiji Era, while the Japanese language in Hawaii has constantly evolved – or been suppressed during World War II, when Japanese language, culture, customs, and clothing disappeared. 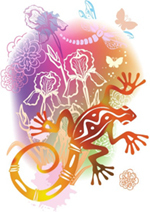 My favorite parts of the book were the humorous conversations, with Pidgin English misunderstandings and mis-hearings. Thought my mother grew up on the Big Island, most of the Japanese words and Pidgin English in the book are unfamiliar to me; I don’t think she taught me the Pidgin English she might have heard growing up. The one thing that seems enduring is jan ken po. I grew up with the rhyme “jan ken na po, I canna’ [cannot] show.” I didn’t even know that there were other verses! It didn’t surprise me to learn that my son learned this rhyme from his classmates, another generation of jan ken po players. “It is a common experience that a problem difficult at night is resolved in the morning after the committee of sleep has worked on it,” John Steinbeck declared. Have you ever gone to sleep puzzling over a problem, and woken up with a possible solution? Have you ever had a good idea strike when you’re thinking about something completely different? One week, I was struggling to come up with a topic for a Better Hawaii post. Usually, I know what I want to write about – or I have too much to say, so I spend a lot of time editing to keep the posts short, simple, and positive. I could think of several ideas, but nothing that I felt enthusiastic writing about. So one night before I fell asleep, I told myself to think about a Better Hawaii article. Then I tossed and turned because ideas weren’t immediately popping into my mind. (This happens to me sometimes – I feel as if my thoughts are racing out of control. Worrying about problems doesn’t usually keep me awake, though – it’s the list of things that I need to do or should have done that tends to keep me awake). I lay in bed a few minutes, keeping my muscles relaxed, not reaching for a phone or a pen, and started writing the post in my mind. After a few mentally-composed sentences, I started to worry that I wouldn’t remember it all; but I forced myself to remain relaxed. I had to trust that I would remember it all. 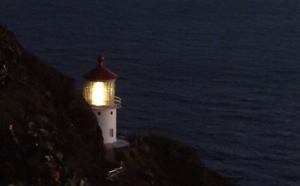 It wasn’t the brilliant “eureka” moment that strikes late at night when you’re under pressure. It was a quiet idea that seemed to already be there, waiting to be noticed. And that experience led me to write a second, short post – this one. What is the most recent problem that you worried about before falling asleep – and did your sleeping mind work on a solution? You are currently browsing the Better Hawaii weblog archives for April 2018.